Our new brewery floor is finally complete and it looks epic! It will support major weight mid week and on Friday we should be taking delivery of our new 2 new fermenters and new hot liquor tank. This is all rather exciting. We have not tested the drainage yet just in case there are any issues but I am not too concerned about this at the moment. On Friday our building sign went up and I am very pleased with how it looks. 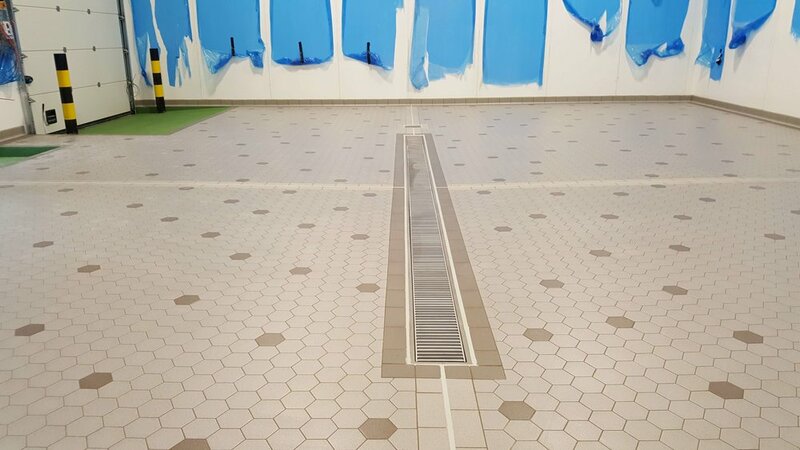 It is something a bit different and not every design we create needs to be full of colour. Sometimes a more corporate and perhaps simple look is more suitable. What do you think? We will be having a taproom sign made shortly as well. Perhaps even this coming week if we are lucky. More good news! We have just been granted our premises licence at Hardley so we can now sell our lovely beer to the public (retail sales). Thanks to those keen folk who popped in on the very same day to purchase some cans. We have no bar or draught beer facility at present so we cannot offer draught beer yet or support consumption on-site. 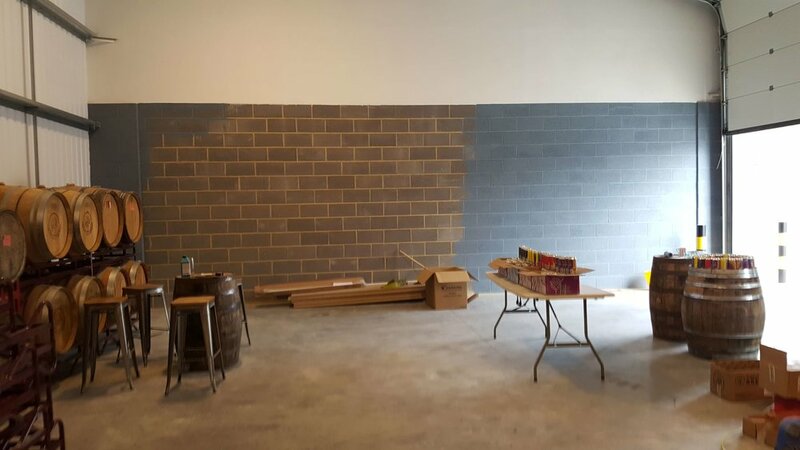 We are continuing to work on our new taproom right now and yesterday I spent all day painting and planning the new bar area. 80% of our barrel aged beers are now sat in the taproom space waiting for many more to join them in the coming years. This is something I am very passionate about so we will be barrel ageing a lot more beer in the future (not just yet!). If you are in the area and want some beer then please come visit us at Unit 3 (Monday to Friday - please get in touch if you want to pop in on a Saturday and/or see what we have in stock). We can only accept cash at the moment but should have a card machine in a few days time. All of our stock is now at Hardley making life 1000% easier. No more running up the road to drop off or fetch beer to then realise you had forgotten something.. Of course, we are still brewing and packaging at Lymington so we do need to regularly drop off the newly packaged beer at Hardley but we know this is only a temporary chore so life is not so bad….. The plan for this coming week? Look at putting down an epoxy paint floor in our taproom. This needs some research. Take delivery of 2 new fermenters and 1 new hot liquor tank and work out how we can best erect 5/6M tall and heavy vessels laying horizontally on the delivery lorry! Just like last Sunday I am brewing Pupa so I am off to attend to this now. Have a good week and cheers!